Please click here to redirect to the full results summary archive. 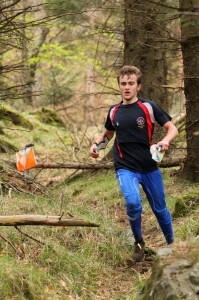 Orienteering is a competitive running sport with a map : decide the quickest route to reach a series of control points around an event course. LOK draws its members from the north and south side of the River Thames and to the west of the Lea Valley. It competes against other clubs and hosts local and regional races. Our runners are of all ages, from beginners to national standard atheletes. New members are most welcome and training can be given. The sport is of Swedish origin, and we have used the Swedish spelling in our name. LOK have published a Data Protection Policy document which explains how personal data is obtained, used, stored, and deleted as part of the normal operation of the club. Members of the club train on Hampstead Heath every Thursday evening. We run for about an hour. The training is primarily just running but can include some orienteering practice. The training is open to all, including non-members and those new to orienteering or who only want a run – just turn up at the Recreation Club. When: 6.30 p.m. for a 6.45 p.m. pr0mpt start, Thursday evenings.